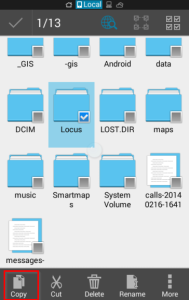 After upgrade on Android 4.4.2 Locus Map does not run correctly – crashes or does not run either. Unfortunately, Android 4.4.2 has a new feature that prevents all installed applications from writing data on external SD card. Locus Map cannot correctly store and read your maps, points or tracks if they are stored on SD card. For this reason Locus Map is not able to start. Only devices with SD card are influenced. 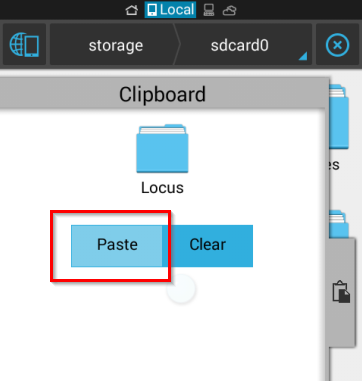 Remove (or rename for safety) Locus folder on the external SDcard. The goal is to have only one Locus folder that is located in internal storage. 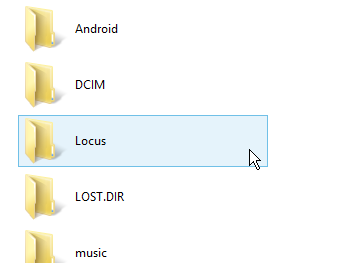 All content of this folder will be automatically deleted when you uninstall Locus Map. So all your maps will be deleted when you decide to uninstall Locus app. Why Locus developers didn’t fix it? Locus Map has more than one version and every version has special package name (it has to be), which means every version will have its own unique directory. 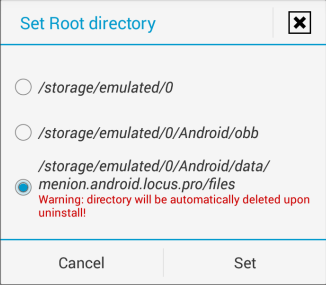 These directories are automatically removed after un-installation of Locus app. This is not convenient in case you have GBytes of map files. the current version only works with locus on internal storage (sd)? why you dont check if device is rootet or not? 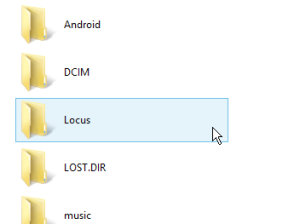 i can’t copy locus folder to the internal storage because there is no more space. please see section Solution C – Devices with ROOT permission in this article. Users with rooted devices don’t need to move data into internal memory. You only need to change android permission. Downloaded maps etc go into the files sub folder and everything will work just fine. thank you for you comment. I’ll forward this discussion on Google+ ( https://plus.google.com/118282045438155427142/posts/JCAER8nGWAW ) to keep it on one place. I’m not Android developer, but AFAIK there are already available applications (non-system, not-rooted) which are able to write (delete, rename) files on external SD card. Hope you will investigate in this ‘issue’ to find some solution for Locus to work again with SD card. BTW: no problems with Locus moved to internal storage so far (on Galaxy Note 3, KitKat). Just FYI, thanks for great product anyway!! can you give me please some example, please? We’d like to solve it, so every idea is welcome. Maybe additional note: Application can save data into private folder managed by Android system. 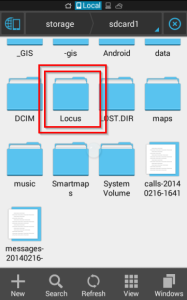 But this is not applicable to Locus because we need/want to have data in folder called Locus. It seems that ES File Explorer uses probably some hack via the media content files. We’ll be watching it.